Aaah... those were the days - proper trains, with steam! Looking east from Newton Road bridge just before the railways disappeared completely from the centre of Yeovil showed a plethora of tracks skirting the southern flanks of Wyndham Hill at left. 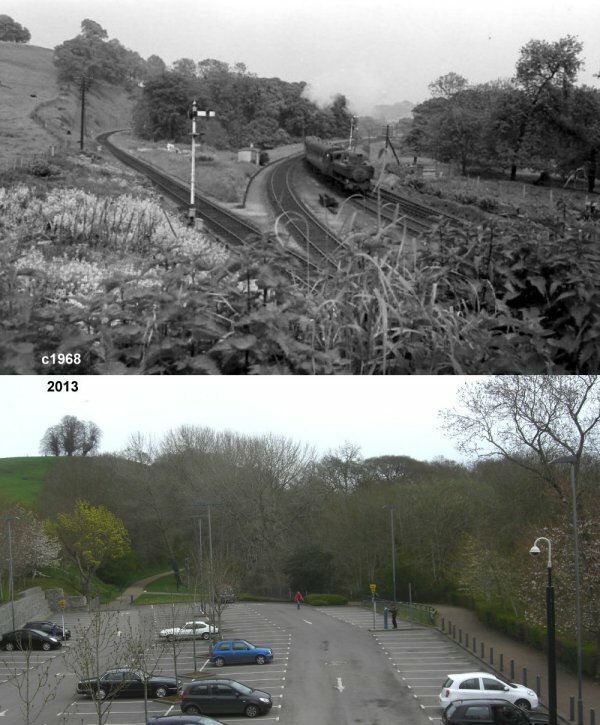 Now a delightful car park with Railway Walk following the left-hand track in the top photo.